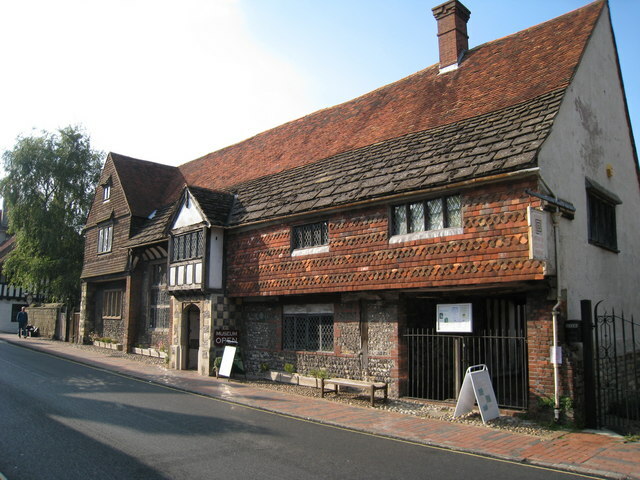 Anne of Cleves House is a 15th century timber-framed Wealden hall-house that formed part of Anne's divorce settlement from Henry VIII in 1541. The house contains wide-ranging collections of Sussex interest, including Sussex pottery, and the bedroom and kitchen are furnished to reflect an earlier period. The German Anne was the fourth of Henry VIII's wives and managed to outlast the others. The marriage was apparently never consummated and Anne was referred to as the king's beloved sister after the divorce. For more information visit the Anne of Cleves House website. Admission 2012: Adult £4.70, child £2.40, concessions £4.10, family £12.40.